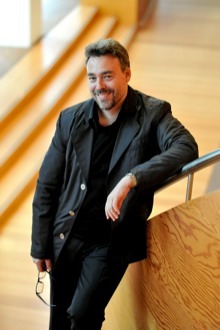 Yves Abel is the Chief Conductor of the NordwestDeutsche Philarmonie, Germany. Principal Guest Conductor of the Deutsche Oper Berlin from 2005 to 2011, Yves Abel is a regular guest at the world’s great opera houses such as the Metropolitan Opera, Royal Opera Covent Garden, La Scala, Milan, Vienna Staatsoper, Opera National de Paris, Gran Teatre del Liceu, Barcelona. In concert, he has conducted major symphony orchestras world wide in cities which include Amsterdam, Rotterdam, Lyon, Toulouse, Dublin, Liverpool, Toronto, Montreal, New York, San Francisco, Genova, Napoli, Bologna, Porto, Berlin, to name a few. Founder and Music Director of L'Opéra Francais de New York, he has breathed new life into many rare French operas including the world premiere of Dusapin’s ‘To be Sung’. In 2009 he was awarded the title Chevalier de l'Ordre des Arts et des Lettres by the French Government.